This introduction to Freeforming Contact Meditation is excerpted from Freeforming; Connecting Without Words by Peri Mackintosh and Paul Barber in Continuity and Change: Gestalt Therapy Now Editors: Dan Bloom and Philip Brownell, Cambridge Scholars Publishing 2011. This chapter introduces Freeforming – a contact meditation for movement, voice and touch for dyads and groups. It describes a pre-reflective, field-guided and intuitive practice that can be used for personal development, training and as a clinical intervention. We begin by outlining our interests and influences before sharing an account of Freeforming in action and reviewing its origins and practical applications through a dialogue with Peri – its creator. Finally applications to clinical practice and education are surveyed. Peri (bio) I am psychotherapist, supervisor and trainer specializing in non-verbal engagement. I work both at the Bethlem Royal, a national specialist psychiatric hospital, and in private practice and am an examiner and academic consultant for the Metanoia Institute Gestalt Program in London. I have been offering movement, voice and musical intervention to people with severe mental illness, autistic spectrum disorders and profound sensory and mobility disabilities for over 25 years. I began Vipassanna meditation in 1973 when I was thirteen – swapping English lessons for meditation instruction with the Thai monks at Buddhapadipa Temple. I then trained in Rinzai Zen. The leaning into the present moment that these disciplines taught was to become the foundation of my Gestalt therapy work. I studied mime then trained in dance, movement studies and music for dance at London School of Contemporary Dance and Laban Centre for Movement Studies. I sang, danced, composed and choreographed, for stage and site specific works, whilst running movement and music workshops in psychiatric hospitals. Since 1984 I have trained and taught Aikido in UK, Japan and Norway and incorporated the practice into my psychiatric work. I have found that addressing mental distress and growth through connection though movement, voice as well as words, allows for a fuller articulation of the multidimensional aspects of experience. Gestalt with its holistic remit and emphasis on awareness, contact and creativity turned out for me to be the ideal model within which to integrate, orientate and develop these approaches and lead to the development of Freeforming. Paul (bio) I have used Gestalt to inform therapy, consultancy and educational practice for thirty years, a little shorter than my interest in Aikido and the martial arts. I am essentially Taoist in orientation and see Gestalt as a spiritual discipline. In my forties I suffered major surgery and gave up my practice of Aikido, but used its insights to enable clients to explore posture, centring, bodily awareness, breathe and energy. Aikido informs the way I move, my kinaesthetic awareness, my group facilitation. It invites me ‘to meet energy and to flow with’ rather than to oppose and it heightens my perception. It positions my potential for movement. I was drawn to Peri’s work through a conference workshop and later experience in Freeforming intensives. I found it freeing and creative. It combined and integrated my interests in meditative movement, Aikido and Gestalt, and reminded me of the exploratory synthesis I experienced in encounter groups of the 1960’s. Yes, I am old in years and have tried to keep alive the spiritual and humanistic flavour of earlier times in my practice as a therapist – Freeforming fitted this bill. 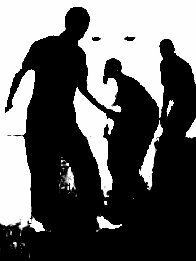 For me, Freeforming puts into action Gestalt’s bodily led phenomenological inquiry, which when performed in the company of others co-creates a relational dance representative of the Field’s dynamics. (Paul) My first meeting with Freeforming was at a gestalt conference. I was intrigued enough both with it and Peri to explore the approach further via weekend intensives. I’d already made my own links with Zen and Gestalt and Aikido but without the ingredient of spontaneous movement. At the start of our Freeforming sessions Peri remained open and process directed, fielding interests and gently suggestive of potential options. Sometimes we began meditatively, sat with down-cast eyes following our breath and emptying our mind in Zen fashion, other times we just engaged in free-form movement to assess where we were right now. We worked in pairs discovering through movement how best we might intuitively be and meet with the other, we formed small groups to see what moving sculpture evolved, we came together as a large group meeting one another with eyes closed and focusing on smells. We also explored the use of sounds – but never words. Some sessions lasted ten minutes others half an hour. Each session was reviewed. Joining with others, drawing awareness to my body and moving in synchronisation with their movement I felt differing paces and sequences of movement spontaneously arise. My actions flowed out from the patterns around me, joined with and broke away, I acted into emotions that arose and complimented these with sounds. When the group was involved a moving sculpt of group energy emerged as individual patterns gave way to communal ones. Post activity we shared our experiences. Personally I missed direct confrontation and challenge plus subsequent mapping and a reflection upon what resulted – although this was bodily held rather than rationalised. I guess I’d have liked more adaptation and tailoring to individual needs and/or personal challenges of learning, but this use of words and reason, though constructing a recognisable bridge into therapy and life would have possibly subtracted from the essential process. There were other highlights for me personally. Returning to a dojo for the first time in 20 years, I had stopped training when my diaphragm ruptured and surgery had put pay to my sporting activities – but now was realizing how well my body had recovered. I recall falling into a spontaneous laughter fit of several minutes that felt like a transpersonal/spiritual awakening and a coming home to me! For me this was a highly enjoyable holistic meeting with individuals, the group and the universe, a blending of artistic, poetic and spiritual. Academic rigor alone I fear can tread too close to a ‘culture of death’ and is not best suited to Gestalt preparation. 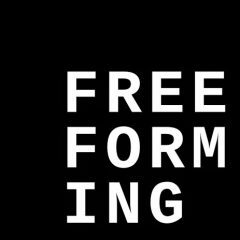 Freeforming suggested a new way, one that venerates the authority of the lived experience as a form of research and training in its own right. The above experiences armed me for the invite of Peri to co-author this chapter and the interview that follows where I play the part of a beginner who can ask the master naïve questions so as to get at the essence of his creation – Freeforming. So what is Freeforming and how did it originate? During our journey of writing this chapter we played with the idea of honouring the nature of Freeforming and Peri, both of whom are primarily intuitively led and at best in responsive movement through the use of interview and dialogue. This is what resulted. (Paul) So Peri, before we approach a more detailed account of Freeforming – how would you like to define it? Freeforming is a contact meditation. It is a dynamic, co-creative awareness practice. Its focus is the felt sense of connection between people. We sense this connection when two people exchange a ‘knowing smile’. It happens when you and I recognize we are sharing something of the same experience at the same time – ‘I sense, that you sense that I sense…’. Freeforming is the wordless exploration of this mutual knowing through movement, voice and touch. (What I am calling connective awareness is also known as the intersubjective field (Atwood, G.E. Stolorow, R.D. 1984), intersubjective communion (Stein-Braten, 2010), implicit relational knowing (Lyons-Ruth, K. 1998), dyadically expanded consciousness (Tronick, E.Z. 1998), I-thou contact Buber, M. (1970) and kimusubi (Novick, L). (Paul) What is the process of Freeforming? Firstly I need to allow space for the situation to reach me. I need to pause my own goal directed hubbub. I need to allow space for the raw sensations, the energy of the situation to arise without being drowned out by my commentary or even my bright ideas about what to do next! I remember being above cloud level on mount Teide in Tenerife. It was so quiet that my experience was dominated by the sound of my breathing, the squeaking of my joints, the loudness of my thoughts! I had to pause, like a hunter, to allow the wider landscape to reach me. Initially my awareness begins with the details of our experience the direction, rhythm, surge and decay of my sensations. I allow these dynamic forms of vitality (Stern, D. N. 2010) to inform me. This precision opens into a wider sense of the space of my situation and expands to encompass the sense of the broader patterns, the overall tone of the people I am with the atmosphere, the id of the situation. I use peripheral rather than focal attention. This allows me to process more than one aspect of my situation at a time. (Walking with focused attention in a crowded street will often result in collision; peripheral awareness allows seamlessly appropriate flow). Panoramic awareness allows an opening to the field. A sense of space displaces the implication that I have to make something happen or to fight what is happening. It is a ground of creative indifference. This is deep listening. “No one can have an idea once he starts really listening.” (Cage, J.1973, p.12). As I listen to the energy of the situation, I am lead to you. Connecting with you is finding you where you are, and meeting you from where I am. It is discovering where we are mutually responsive. Our task is to find and reach each other in our person-hood – “contacting the person as embodied”(Kepner, p.76). The connection can be felt between us like an elastic line or can encompass us like a bubble or “force field”. It can be sensed as we touch, or across hundreds of meters. With more than one partner this connective awareness creates the shoaling, herding, and flocking of a group. With connection, the ball is now in play – game on! Moment by moment we work to maximise the coherence between us. We attempt to align our emerging intentions and initiatives. We try to find shared sustained direction. We discover what enhances or detracts our contact. I am trying to find what play there is between us that will accommodate both my arising sense of myself alongside your sense of yourself. I imagine two canoeists in turbulent waters manoeuvring so that a plank laid between the two boats is still carried and not dropped. To engage with the arising novelty of our emergent situation there needs to be creative adjustment (Perls, F.S, Hefferline, R.F., Goodman, P., 1972). If I premeditate I loose now. If I vehementally push my big idea of what should happen, I loose you! I cannot plan as to what happens next so I improvise. This is a “sloppy” process (Stern, 2004). It involves trial and error, acting and inferring. My attitude needs to be experimental, trying something, looking to any feedback and adjusting accordingly. I need to play. (Paul) What first caught my attention in Freeforming was it’s harnessing of two things I value highly in my own gestalt practice, namely ‘meditative awareness’ and ‘serious play’. Could you expand a little on what you see as the role of meditation and creative play? (Peri) If you take meditation to be a practice in becoming present to the here and now then Freeforming fits that bill. I can’t connect with you if I am not present. Freeforming demands engaging with immediacy, opening to our current situation. Thinking draws us back from the moment (Stern, 2004). It distances us from our experience and interrupts immediate connection. In gestalt we would say that Egotism moderates contact. So Freeforming de-emphasizes discursive thought. It rests in pre-reflective awareness. That is our immediate experience before we conceptualise, think about or verbalize. This is valuable to me for both well being, and creativity. In my view, rumination is a major source of distress. It is also the subtle glue of fixed gestalt. Meditation allows a gap. The inevitability of the thinking track is called into question. This opening to ‘what is’ can be far more transformative and creatively informing than lodging with what I think. The field opens. With this there is space to move. There is play. Through play something new can happen. When stuck it is easy to just identify with the area that is stuck. I become fixated. Aikido exploits the areas that are not stuck. From there you can see things from a different point of view. Then things often just change of themselves. They get moving again. In Freeforming or therapy it can be as simple as seeing what is on the other side of any polarity. If I am focused in front, what’s behind? Another reason Freeforming emphasises of panoramic awareness. I really like Winnicot’s (p.51) view that.” Psychotherapy has to do with two people playing together… where playing is not possible then the work done by the therapist is directed towards bringing the patient from a state of not being able to play into a state of being able to play” Freeforming as an intervention would be an example of this. Play has a way of bringing us “all here”. Freeforming could be viewed as “” purposeless play () a way of waking up to the very life we’re living”(Cage, 1973 p.12). (Paul) I am struck by how Freeforming cultivates bodily awareness and non-verbal development to enact a ‘training of intuition’ – something I perceive at the heart of gestalt and other relational therapies. (Peri) Freeforming is enactive. It has no explicit narrative or interpretive element. For languages benefits it is all too easy to get trapped and defined within verbal confines. There is also the political dimension to language. Those who have the words have the power. The tyranny of language! My work with Ambient Jam involves collaborating with people with profound disabilities and sensory impairment. For many of them language is not an option, and it is all too clear how far down the pecking order they often find themselves. Working with people with severe mental illness I often noticed how at best language doesn’t reach their troubling experiences, or at its worst exacerbates the sense of being confined and defined by another terms. Of course, these issues can apply to all us. So Freeforming is pre-reflective. It operates in the realm of the spontaneous. It is intuitive and relational. The experience of connective awareness is immediate, perceived rather than arrived at through thought. It is visceral. There is a quality of reciprocal fit, of coherence, a ‘locking on’ like a compass encountering a magnet. There is a sense a coming together, of integration and wholeness. There is expansion of consciousness. This is broader than my usual individuality, but not its loss. This felt connection I experience as both confirming and opening up of possibility. Moments of connection are the nursery of personal development, a portal of personal growth. The ‘now moment’ – charged with impending consequence that challenges status quo and promises the emergence of new shared direction (Stern, 2004). I think Freeforming offers useful training for therapists. It is a very clear experience of here and now process orientation. It allows them to experience the potential of engaging the purely implicit. It encourages their ability to articulate themselves relationally within non-verbal domains. They get to relate dialogically without words. (Paul) From the above description I guess your life and the creation of Freeforming run parallel, so could you say more about how you were led towards its evolution and subsequent development while possibly expanding upon its core influences? (Peri) Freeforming has developed out of my longstanding interest in present centred awareness as both a foundation of well being, and as a portal to creativity. The notion of expanding this pre-reflexive consciousness though contact evolved from my experiences in music and dance improvisation, Aikido and Gestalt and the writings of Daniel Stern. These elements came together in application within the three fields I was simultaneously working in – teaching Aikido, providing psychotherapy to severely disturbed patients and as dancer/singer with Ambient Jam a project for people with profound sensory and mobility disabilities and autistic spectrum disorders. In my early teens, through my interest in music and poetry, getting to the freshness of experience prior to thought fascinated me. I began vipassanna meditation, which seemed to be a way of loosening the grip of thinking. It introduced me to the possibility of resting awareness in sensation both internal and external, and simply allowing the rise and fall of thoughts and emotions without speeding to identify with them or act on them. De-emphasizing thinking and being-here- now made me feel better and stoked my creativity. The practice brought me alive to edgy actuality. Zen training took this bodily grounding further into activity. I was urged to give myself into the task of moment “Stop thinking about Zen – clean the toilet!” Zen is a ‘direct pointing to the human heart without words or letters’. It encouraged me to open to the full energetic valour of emotion as physically felt. The training sensitised me to where the fluidly shifting centre of my awareness was moment by moment. My teacher could both follow my awareness process, and convey her recognition of this to me with great precision, without words. This finding and tracking the dynamic centre of our partner’s attention was to become a central feature of Freeforming. Zen is an acceptance practice. Acceptance is important in approaching improvisation, – a welcoming ‘Yes and.’, rather than ‘No, but…’ to the situation (Johnston, K). Improvisation brings me most creatively alive as a musician and dancer. It allows moments of meeting, of profound intimacy with both audience and performers. Through these moments I learned “sensitivity at every moment to one another… is more important than the wish for self-expression” (Peter Brook in Johnston, C. p.169). The bodily trajectory of Zen lead me to Aikido as a moving meditation. The crucial element of Aikido for me was the notion of kimusubi, which can be translated as “tying energy together”, or “intentional bonding”(Novick). This was a momentary sense of profound psychophysical linking between practice partners. Through this connection something fresh would emerge out of our relationship. We would feel reinvigorated, expanded and confirmed. I later equated this with the I-thou experience in Gestalt. Supported by the founders claim that “Aikido has no set forms — it is the study of the spirit,” (Stevens, 1998) I decided to strip my teaching and practice of Aikido of it roles and forms and to focus purely on kimusubi – improvising what was needed to allow and sustain connective awareness supported by kiai, the use of voice to gather and connect. Concurrently with this I was working as a dancer /singer with Entelechy Arts Ambient Jam. This was a pioneering project set up by David Slater and dancers Gary Rowe and Alan Widdowson to bring artistic and communal engagement to people with profound physical, sensory and mental disabilities. Under Rebecca Swift’s curation the worked expanded into an improvised, relational approach using live music, voice work, movement and touch. This was a deep immersion into a pre-verbal world. A major meeting for me was working with Carol. She is a small woman who is blind, deaf and does not speak. She has no symbolic relationship with the world. I had a remarkable series of dialogues with her though touch. These were non-verbal but directly communicative. This was profound in its implications. I began to use the degree of connection felt with participants as a benchmark of the work. The work with Ambient Jam continues to feed into Freeforming. As a psychotherapist, in the hospital, I was often, and continue to be referred clients suffering severe disturbance and psychosis. These clients are often unresponsive or even disturbed by verbal intervention. Often, however, they are intensely sensitive to the felt connection between themselves and others. Through simply offering them the chance to play with this connection, they invariably seemed to come alive, to become “all there”. Their observed or reported experience echoed Goodman’s description of the qualities of a strong figure “brightness, clarity, unity, fascination, grace, vigour and release” (PHG, p. 278). These patients report their increased ability to articulate themselves after the sessions. At first I called this practice Freeform Aikido then Kimusubi, then, to strip it of exoticism, simply Freeforming. (Paul) I find myself in sympathy with you re Zen and Aikido and evidence how these inform my own gestalt practice, but I’m wondering about the added value you suggest of movement. Perhaps if you expand upon your work with the severely mentally ill this will become clearer? (Peri) With symbolic representation of us, I run into power issues inherent in fitting experience into a preconceived form. Who owns the currency? If we are stripped of language, gesture coding, dance forms, martial art kata and so on, the playing fields of exchange can to some degree be levelled. Here we can engage in a domain of relatedness (Stern, 1985) unalloyed by the verbal. In movement and voice I am looking to see where you can be met. I am trying to find where you are in whatever movement or voice emerges between us. Freeforming has proved extremely effective in engaging with people with psychotic process. For people with psychosis direct verbal intervention can at times feel confrontative or inconsequential to their emerging needs. There can be an unbearable isolation in an experience that can’t be shared through words. This can contribute to further fragmentation and distress. Freeforming if founded on acknowledgement and confirmation. Freeforming looks to where a person is gathering him or herself most strongly and encourages further coherence or glueing (Stratford, C.D., Brallier, L.W., 1979). From its peripheral vantage Freeforming also allows us to encompass and acknowledge seemingly disparate aspects of our situation at the same time. Coherence is forged round a shared recognition our emerging situation. We are “building the background” (Spagnuolo Lobb, 2003, p.265). This practice is confirming and stabilising for a fragile sense of self. Harold is a young man with Autistic spectrum diagnosis and suffering from psychotic process. He usually struggles to find words to convey his experience. We have done much work together, in which our felt connection is extended to include the environment we are in. Pillows, blankets, musical instruments and, in the wooded grounds of the hospital, trees, twigs and leaves, are acknowledged as they relate to our on going relationship. The work can at times be still and silent or at others fast, loud and physically vigorous, all in service of the connection between us. Following these wordless sessions Harold, paradoxically finds it much easier to communicate through words. I have found over the years of working with people with eating disorders, particularly anorexia nervosa, that verbal orientated work so easily exacerbates a detached and critical egotism that has become a dominant and distressing way of being. In-group work Freeforming offers a mutually supportive arena for the reception and expression of spontaneity. There is the possibility of implicitly negotiated responsiveness. These clients are often hungry for declamatory vocalising work, which contrasts with timid whispers by which they often engage verbally. Playing at the other end of this dynamic polarity often leaves participants freer in the middle dynamics. (Paul) After engagement with Freeforming in workshop settings, though there is opportunity to share, no attempt at deeper unpacking or relating it to the individual’s history or the current group dynamic appears to be made – though I am richly appreciative of non-structure I ponder about the benefits of a more structured debriefing. What are your thoughts on this? (Peri) There could well be benefits of further unpacking, however, my priority is using the limited time to allow participants maximum exposure to this way of engaging. Also, my own interpretation of your question is that the ‘sharing’ and unpacking you seek is post-experiential verbalising. In some ways many participants are all too familiar with this way of approaching or processing experience, so I think to some degree it is interesting to see what happens if we don’t talk about it much. I have had a considerable amount of feedback (verbal!) from participants who liked the fact that there was not much talking – some wanted even less! In the group work, the group dynamics are clearly at play and are the central focus of the work they are simply acknowledged, articulated and played with non-verbally. Stern has observed that “Usually, after these moments of meeting, we find what we call an open space, which is a sort of withdrawal…. There is a kind of being alone but together, when some kind of assimilation occurs, which doesn’t have to be verbalized.” (Spagnuolo, 2003, p.24). Freeforming is about exploring and discovering what we can do together before and beyond words. In too rapidly falling into talking about it we are in danger of falling into (using a phrase attributed to Alan Watts) “effing the ineffable”! (Paul) Since my introduction to Freeforming I have applied it in four settings, a Gestalt workshop delivered to a renowned management institute, within gestalt training and ongoing therapy groups, and in workshops on group facilitation. Shortly after the Freeforming intensive I did a half-day on Gestalt on in coaching and consulting MSc. I had introduced the notion of de-constructing ‘the world as taught’ so as to let new experience in, and started my session by inviting the group to sit in silence for 5 minutes to explore how we interacted with and used ‘silence’. I then invited participants to form pairs and to gaze into each others eyes to explore what arose to distract their reception of the one before them – namely how shyness, laughter, fear of intimacy etc gets in the way. We then took it in turns being led with eyes closed by a seeing partner who guided us around the parkland outside the classroom. This was followed by an invite to close our eyes and form a group in the centre of the lawn – in silence. After 20 minutes I invited participants to enact a spontaneous sculpt – just move together as intuition and the play of the group dynamic took us. Later we formed a circle with arms linked and debriefed our experiences. People felt relieved and rested, out from their busy heads and much calmer than before. One burst into tears, remembering a previous group experience that got out of hand, though this experience was very different she said, so gentle and holding and safe. I next invited participants to walk back in slow motion to their class, to breathe in and sense and feel what happened to them when they returned to the organisational energy field. Some felt the loss of childhood, the armouring of her previous openness. We worked further upon where in our body we ‘sensed’ the group, what muscles we tensed, where we focussed our consciousness and awareness, what memories returned to us here, what social rules we were re-enacting, what we imaginatively projected out on others, what our soul was learning today! We ended with me demonstrating Gestalt as field-led emergent coaching in a one-to-one setting, and facilitating group inquiry in a gestalt informed servant-leadership way. I have since employed experiments similar to the above in my training of psychotherapists – both advanced and beginners, and in therapy. All have born fruit. Freeforming and its subtle influence continues still. (Paul) I’ve been integrating the ‘transpersonal’ – everything over and above the little self – to my work for some time. As a researcher I’ve been stressing to my doctoral students the importance of entertaining what is unknown and unknowable (Barber 2006a), encouraging them as I encourage my Gestalt trainees to be led by the field; so much of the field is non-social and non-verbal and runs counter to our experiences of ‘the world as taught’ and enshrined by culture. Freeforming helps me to communicate this notion experientially. I have rallied against the dangers of over-clinicalization of Gestalt and its professional preparation for some time (Barber 2006). Gestalt has gone from a standard barer of the humanistic movement to a method, and I fear is now in danger of becoming a therapeutic technique. Freeforming brings the body and field back into the equation to counter-balance the non-Gestalt influences of DSM and our other Gestalt training givens and introjects, teases us out from becoming too person centred and puts us squarely back in contact with ‘process’ and the counter-cultural position where we belong. Barber, P. (2006a) Becoming a Practitioner Research: A Gestalt Approach to Facilitating Holistic Inquiry, Middlesex University Press London. Barber, P. (2006) Keeping Psychotherapy Trainees in Their Place: How Psychotherapy Institutions can Stifle Love and Breed Compliance, International Gestalt Journal, USA. Cage, J. (1973), Silence. Hanover: Wesleyan University Press..
Lyons-Ruth, K. (1998). Implicit relational knowing: Its role in development and psychoanalytic treatment. Infant Mental Health Journal, 19(3), 282–289. Ueshiba. Kodansha International Ltd, Europe and America.